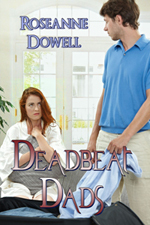 After her husband leaves her for a younger woman, Erica Morris starts a group for ex wives of deadbeat dads. Little did she know just how many there were. In the process of rebuilding her life, a someone tries to blackmail her. Can she put the past behind her or will it catch up to her? Erica establishes a support group to help other women protect themselves from circumstances she knows all too well: desertion, deceit and financial abandonment. Bad goes to worse and you can’t stop turning those pages. This story idea came to me from my husband who overheard two women talking in a bank. The conversation wouldn’t leave me and after chatting with someone who went through something similar, the story idea wouldn’t leave me alone until I wrote it. I hope you enjoy it as much as I enjoyed writing it.